Facebook being an integral part of Social Media is a platform that has become mandatory for all business users. Apart from creating personal profiles, pages, communities and groups have gained prime importance in the last few years. Business pages are not only a platform to sell products but also to increase engagement and awareness for a particular campaign, brand and sub brand. Facebook is no more a mere dating or networking platform with friends and family, in fact it has developed itself to be one of the major arenas for business networking and brand recognition and development. Even small-scale business and start-ups are considering Facebook as their initial and the most important platform to upscale their businesses. 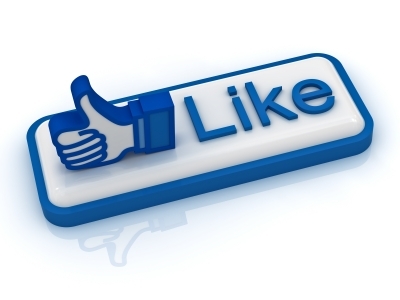 Here is a handy guide on how you can increase engagement on Facebook. Post contests, polls and questionnaires related to your field of business. For example, if you run a real estate business then post pictures on bungalows and ask questions like which bungalow would you buy or post information on a new piece of land and mall that is under construction or newly opened. This will help gain more followers with responses, shares and likes on that particular post and in turn will increase the visibility of your business. Remember, pictures attract more than anything else so make a point to have activities with pictures. So what kind of activities? Not yet very evolved in India but videos can be very engaging and fun. Posting videos once in a while related to your industry can create a good impact. For example, if you run an Event Management company then post video on the making of the event or behind the scenes. This will create interest among fans and will elaborate on the amount of hard work your company puts in for a project. Ask questions related to your industry. For example if you run an online shopping portal then ask questions like which is your favourite trend for summer or hold a poll by asking a question with 3-5 options. Get creative by holding contests using apps, forms and surveys and increase engagement to a large extent. Reward your fans so that they are excited and check back your page often to find out on the winner. Post a tleast 2-3 times per day. This will help your fans notice the amount of attention you pay to your brand and in turn gain you more followers. Also, do keep in mind the Facebook timings. Users log on to Facebook during lunch hours and afternoons and Saturday morning. Sundays can be skipped. You can choose to spend very little or more on Facebook ads. They hit the correct target audience with age, interests, location and relationship status. Facebook ads have proven records of increasing fans on the page and boosting sales and businesses.